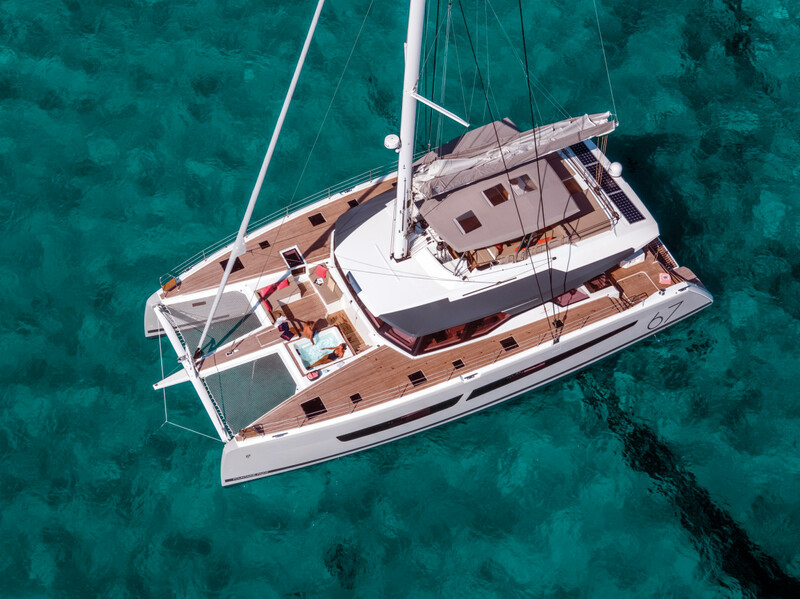 When I boarded Fountaine Pajot’s new flagship, the Alegria 67, at the Cannes boat show last September, the first thing I noticed was that several groups of people were carrying on private conversations in separate lounging and seating areas in the saloon—that’s how big this boat is. The Berret-Racoupeau design is intended to serve as either a luxurious bluewater cruising platform for a family or as a high-end skippered charter boat. Of the seven layout options, a private owner would no doubt choose the Maestro version with its opulent master suite that occupies most of one hull. A charter operator might go for the maximum of six double cabins, each with an ensuite heads/shower, with two crew cabins in the bows. Either can specify galley-up or galley-down versions. 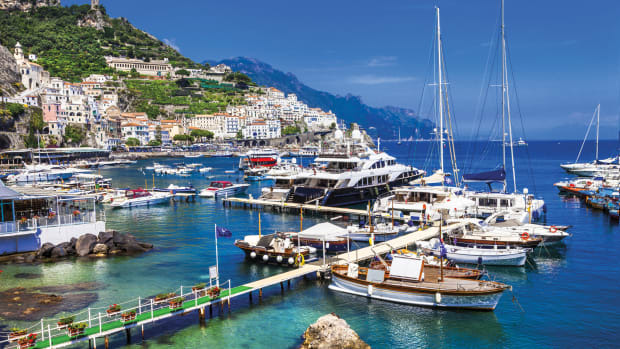 Even with a full complement of charter guests on board, the Alegria would not feel crowded. There’s room for the entire crew to dine al fresco in the vast cockpit that’s open to the saloon or gather for cocktails on the expansive flybridge with its grill and wet bar. 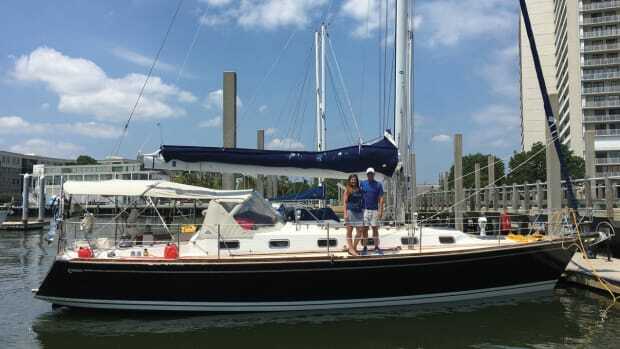 Later, they could chill out in the optional foredeck jacuzzi. This is one of the French builder’s most impressive large-scale boats yet.  You can check it out for yourself at the Miami Strictly Sail show this month. Another powerhouse French builder, Lagoon, hasn’t exactly been resting on its laurels either. 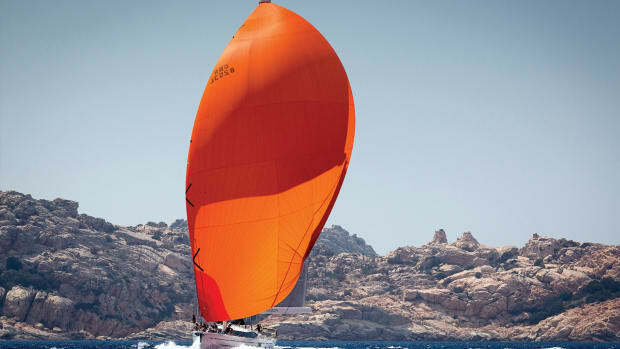 The refreshing of its line-up continues with the introduction of the Lagoon 46, which replaces the long-lived 450. 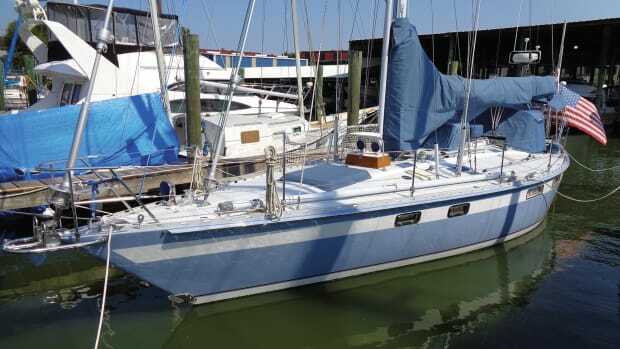 In line with the other recent additions to the range—the 40, 42, 50 and 52—the 46 has a high-aspect mainsail set almost amidships. 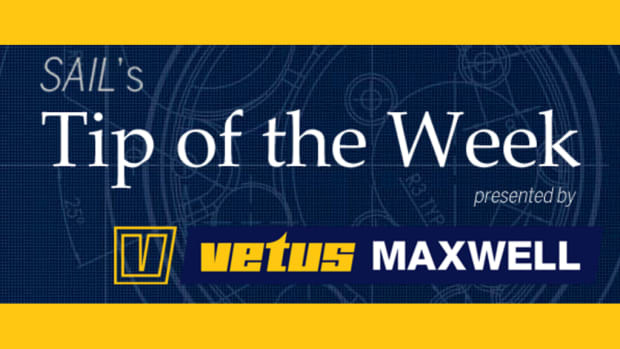 This permits the VPLP-designed boat to fly a large self-tacking headsail while making the mainsail smaller and easier to handle. Another feature is the hull design, which is slim below the waterline but employs pronounced chines above to improve interior volume. So effective is this that the 460’s forward bunks—which usually come off second-best—are as wide as those in the after staterooms. The usual three- or four-cabin layouts are available, each with en-suite heads/showers. The galley-up layout features sliding windows to open up the saloon to the cockpit, with L-shaped seating inside and out. The forward cockpit is almost obligatory in production cats these days, but the flybridge, with its central helm position and many square yards of lounging space, will remain the social center when the weather is kind. Just three of the “old school” Lagoon models remain—the 560, 620 and the immortal (by modern boatbuilding standards) 380. I suspect replacements for one or all of these will be announced soon. 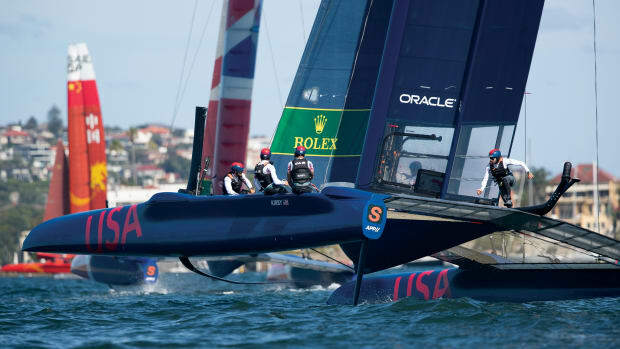 There has also been some action in the three-hull sector. 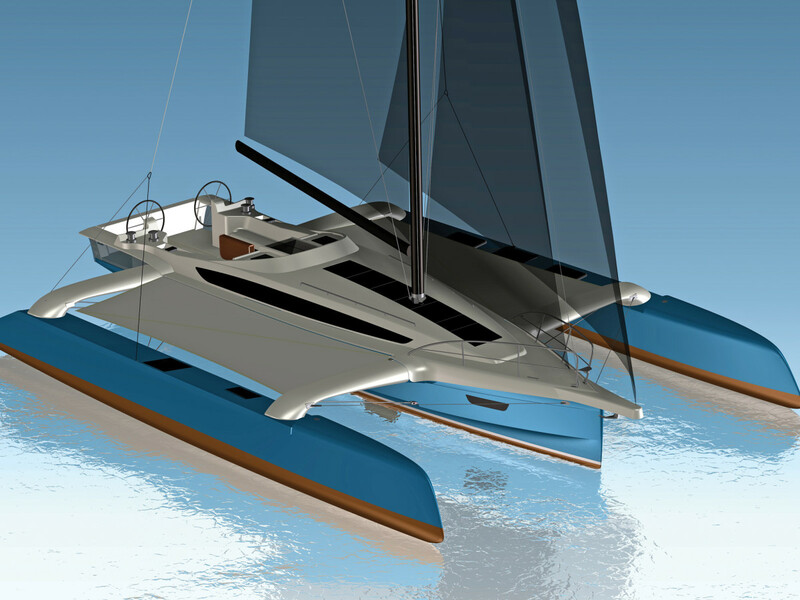 Dragonfly, the builder of high-end swing-wing trimarans, has a new 40-footer in build. The Dragonfly 40 is the Danish company’s biggest boat yet and promises blistering performance—even the smaller models can cruise in the high teens. Renderings of the new boat show a broad, squared-off stern with twin helms, and a central hull containing berths for six along with all the essential cruising equipment. There is a choice of Touring and Performance rigs, both in carbon fiber, and the boat weighs in at a little over 10,000lb ready to sail. 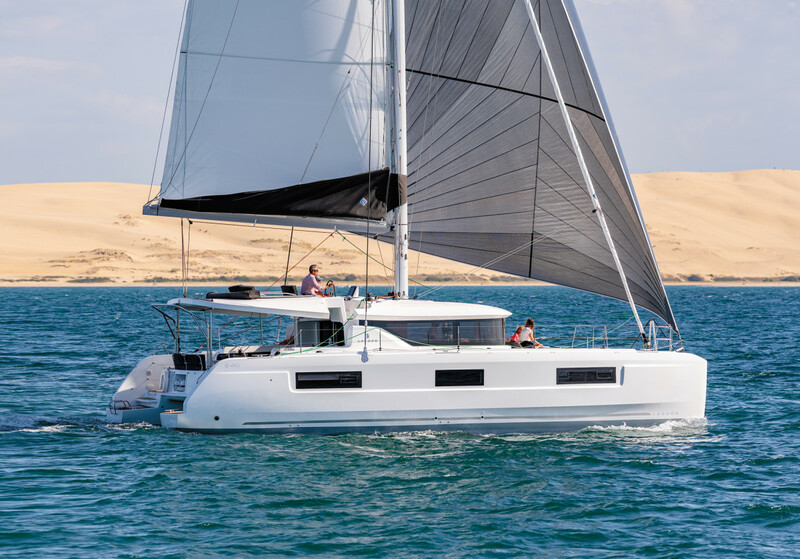 Meanwhile, cruising-tri builder Neel Trimarans has introduced another new model, hard on the heels of the Best Boats award-winning Neel 51. The Neel 47 bridges the gap between the 45 and 51 and shares the same outstanding interior volume and clever use of space as its sisters. 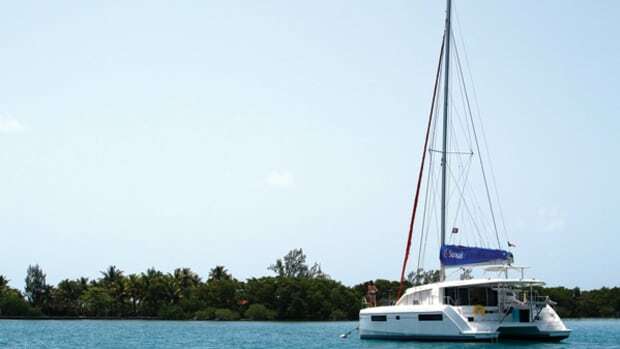 There are two large double cabins in the outer hulls, accessible from the cockpit, along with optional single bunks in the bows (ideal for children), and the trademark owner’s suite on the top level. A full-width cockpit, large galley and the walk-through “garage” below the saloon, where machinery and tankage are concentrated, are other trademark features. 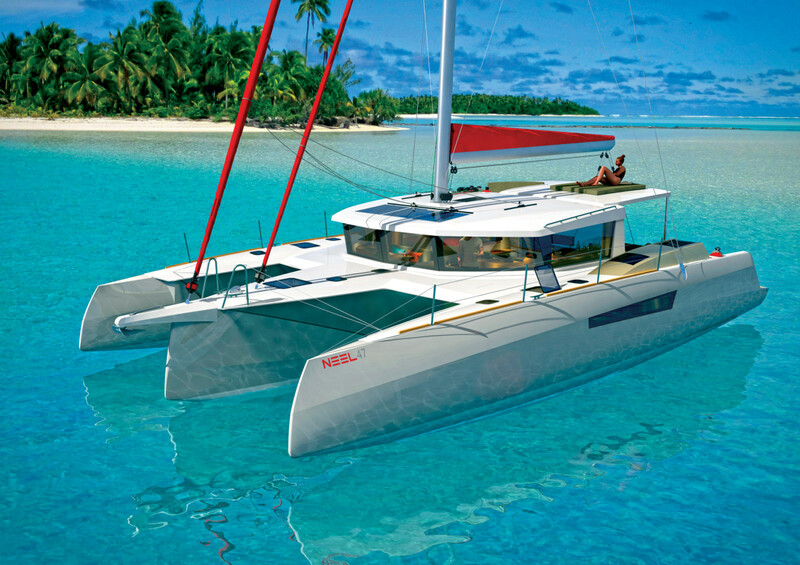 The boat will make its debut at the annual multihull show in La Grand Motte, France, in April.